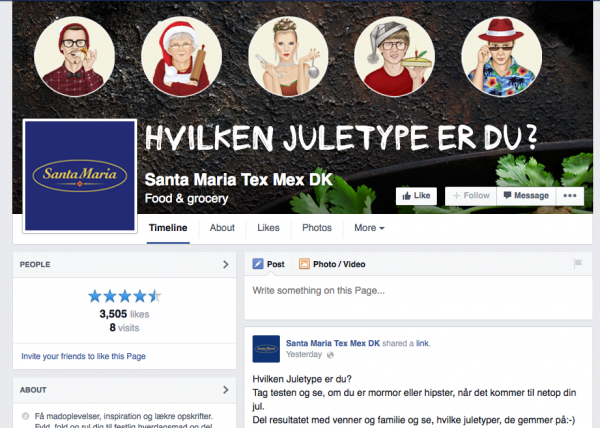 For noget tid siden lavede jeg disse juleikoner til Santa Maria, i forbindelse med en kampagne som Entry Communications var ved at lave for dem. De skulle bruges til en juletype-test, som folk kan tage online for at finde ud af hvilken juletype de er, og derefter dele på Facebook. Du kan selv tage testen her. Det var en supersjov opgave, og du kan se resultatet herunder. 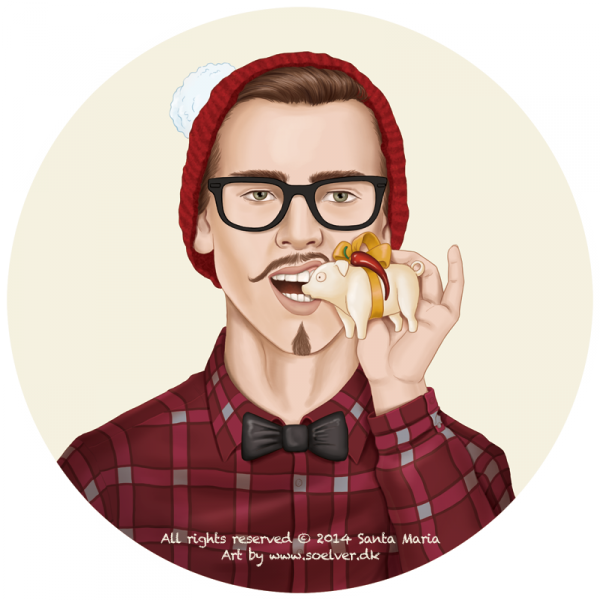 A while ago I made these icons for Santa Maria, as part of a christmas campaign that Entry Communications was creating for them. They are used for a christmas type test, that people can take online to find out which christmas type they are, and afterwards share the result on Facebook with their friends. If you can read danish, the test is available here. I had a lot of fun doing these illustrations, and you can see the result below.